BOOKED: Delta One Suites To Beijing! A couple of days ago I posted about great fares that Delta had published between Toronto and Beijing, for ~$2,000 roundtrip. The best part was that these fares allowed routing via Detroit, which meant you could fly Delta’s new A350, which features their Delta One Suites with doors. Of course I’m dying to fly the Delta A350, partly because it’s the first A350 operated by a US airline, and partly because I’m curious just how good Delta’s new business class hard product is (I’m skeptical, since this is a modified Vantage XL seat, so I wonder if this product is even better than the reverse herringbone seats they have on their A330s). I also happen to be completing a Delta Platinum Medallion status challenge, meaning I need to decide what my plan is for next year. Given that Delta has been charging $500 one-way surcharges for flights involving Delta One Suites, I figured there wouldn’t be many other great opportunities to try the product, at least in the short term. 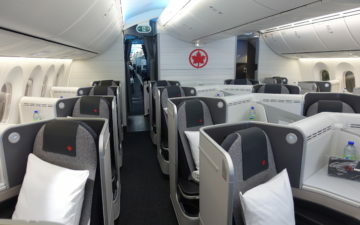 You’re paying a $1,000 premium roundtrip even when you do find a good business class fare, and there hasn’t been much saver level award availability on these flights. So since Tiffany and I are both completing Delta Platinum challenges, we went ahead and booked tickets to Beijing next February. The roundtrip tickets from Toronto to Beijing will earn us over 20,000 Medallion Qualifying Miles, which is great. Furthermore, since I paid with The Platinum Card® from American Express, I’ll earn 5x points on the purchase, which I value at a return of ~8.5%. Personally Beijing is my least favorite major city in China (of those I’ve been to), and I especially have no interest in going there in February, when it’ll be cold. Since the fare has a one week minimum stay, our plan is to go somewhere else during that time. We’re open to ideas. My first thought was to fly to Australia, given that we could review the new business class products on Garuda Indonesia, Malaysia Airlines, Thai Airways, Vietnam Airlines, etc. We can book Malaysia at a reasonable cost using oneworld miles and Thai at a reasonable cost using Star Alliance miles, but redemptions on Garuda and Vietnam are surprisingly expensive. For example, while United charges 40,000 miles for one-way business class from China to Australia, Delta, Korean Air, etc., charge almost double as many miles. I haven’t been able to find a “sweet spot” SkyTeam program for this, which is a shame, since I see availability on Vietnam Airlines in one direction and Garuda Indonesia in the other. If anyone has any great ideas there, I’d love to hear them. 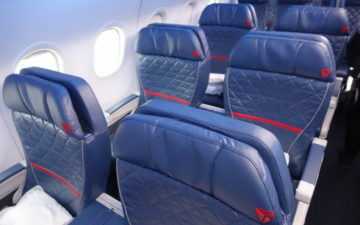 I can’t wait to try Delta’s new business class, and now I really feel like I should be requalifying for Delta status next year. However, I’m really not sure how far I should go, given that Delta recently made it a lot more difficult to earn Diamond status. Any requests on where we should go in February from Beijing to try some new products and find warmer weather? Just make sure you have a multiple-entry Chinese visa if you plan to go into PEK then leave and come back again for your return flight. Unless you can manage to stay airside on your way back, or use the 72-hour visa-free exemption. During FEB is Chinese New Year. I loved Beijing in Feb last year during CNY. It was not crowded at all and we got to see lots of the sights without much hassle or traffic. However, it was FREEZING cold. Ben, go to Xian and see the Terracotta Army. Specifically, Chinese New Year is Feb 16th. So from Feb 15th onward for ~2 weeks there’s all kinds of celebration and festivities during that period. Perhaps a quick hop over to Japan? or Visit Hainan? It is a beautiful time of year for Australia ! Not sure how to get the best bang for your buck but if you can make it work. One option is the Cathay pacific A350 from Hong Kong to Brisbane, would mean repositioning but worth it. We loved loved loved the a350 on our recent round the world trip. It would also mean you could review the new qantas premium lounge at BNE on your return, don’t think you’ve done that yet? @Hugo Costa : ehhh no. “Peking” is mostly a term used by several European languages to describe Beijing, but it’s not how “Bei-jing” is pronounced in Cantonese. For any English speaker though, “Peking” is a rather archaic term. Almost like calling it “Constantinople” and “Edo” instead of Istanbul and Tokyo. How about a review of air new zealand or Qantas business class you haven’t done either for a while and if my memory serves me correct you haven’t done a proper Qantas long haul in business class? I can’t wait fir the review, but being honest I am more interested in Delta Premium Select right now. Maybe you’ll fly to NRT in 2018 and take premium select. Agree with @henry LAX that Peking is archaic when used in English – the only exception being “Peking duck,” a dish that is definitely not referred to as “Beijing duck” in English. How about trying Air Asia X’s Premium Flatbed product via KUL, either as a destination or connecting to Australia or SE Asia. I think you would be pleasantly surprised by the product! @ Jim — We both have 10-year visas with several years left on them, fortunately. Brad, he’s a travel blogger, this is what he does for a living, either you’re a troll, then good luck to you, or you are two pennies short of a pound and a bit silly reading this blog and getting jealous of someone else’s travelling. Either way it’s probably best to bugger off eh? Lucky… it’d be nice if you final post your “Top 10” for the Best First Class Products. You said you’d have it done months ago! @ Brad — Indeed, and that’s one of the challenges/opportunities with chasing fares versus chasing destinations. We’ve both been to Beijing multiple times (including twice together), so while I’d hardly consider Beijing “lame” I’m looking forward to going somewhere else if we can swing it. Why not do South Pacific? I think if you use UA miles, from Asia to South Pac, award engine would have to route you through either Australia or other Asia gateway cities. If you can time the flight, you can have near 24 hour pseudo-stopovers, and you have a chance trying out various business class products. I would agree with @Tiffany. I would not call Beijing lame. Where they are flying out of and transiting from, Toronto and Detroit, are also not lame. With all due respect, what is lame is for the person reading these wonderful travel insights without any clue as to the justification for them. Not only has this site helped me to better understand travel in general, but it allowed me to know about other great deals and other great travel websites. It gave me a better comprehension about airlines and hotels. The credit card offers and promotions were so good, I even got my mom to sign up for a couple of them and helped her to sign up for any promos. Nothing lame or ridiculous about these articles or posts at all. Please feel free to do a crossword puzzle online instead if you feel that that the website is not for you. 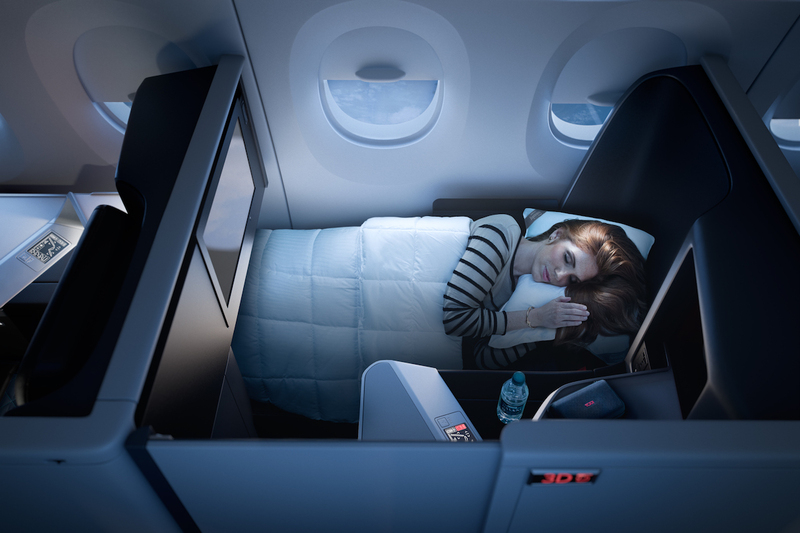 Have you tried Business Class on Virgin Australia’s A330? Very similar to their B773 product, but on a different aircraft. Now flying daily HKG to MEL and bookable using SkyMiles. If you continue the flight onwards into Oceania, the price goes down to 30K in business each way and 40K in First. This can get you to some fun pacific islands. (I know you didn’t get to finish reviewing Fiji). The sweet spot on SkyMiles in that region is Northern Asia to Southern Asia at 40k one-way J. Example ICN-DPS which is an 8hr flight. Minimal taxes. An excellent deal as many of those longer routes see rotations from the refurbed GA A330’s. 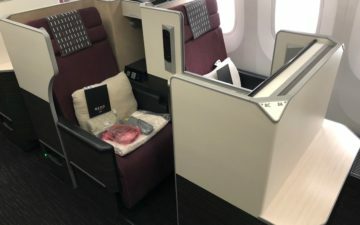 It might be too much Vantage XL for one trip, but Qantas has an excellent business class from Asia to Australia on their A330’s which might be worth reviewing. Why dont yall fly to Bali? They have nonstop flights (only 7hr) and you can review maybe Garuda Indonesia First Class? Its nice and warm in Bali and you can also review an Aman resort there (they have a few). Might be worth mentioning that some partner awards (e.g. GA) don’t show up when searching on the DL website, but do show up on the mobile app (or m.delta.com). It would be great to see a review of Thai Airways’ product since you haven’t done so in a while. I’m just curious if they operate the 787 or A380. Would love to see where both of you go! Lucky and Tiffany why don’t you two review Qantas a330 new business class or could try Garuda Indonesia or Malaysian or Thai or Vietnam to Sydney and then fly Qantas a330 on the five hour flight to Perth from Sydney.As it could be good to compare Vantage XL with door and without door. Nice booking! Should be a nice long flight to appreciate the mini-suite. I also always appreciate it when people (bloggers and posters) remember to take into account the points and/or status progress earned on cash airline or hotel bookings. Fly south to Hong Kong, stay at Ritz Carlton, Mandarin Oriental, Peninsula, or Four Seasons. Try out the new Centurion Lounge at HKG. Visit Cathay Pacific’s The Pier again! Fly out in Cathay’s A350. The sunrise at Borobudur, a Buddhist temple near Yogyakarta, Indonesia, is stunning. There’s an Aman nearby, and you could route PEK-DPS-JOG on Garuda, with a 777-300ER on the first segment and a chance to review Garuda domestic business class service on the second. And I remember you guys wrote about how the St. Regis Tianjin was both cheap and part of Amex FHR a while back – Tianjin is just a 30 minute train ride from Beijing so maybe throw that in too? Making an award booking on Thai Airways from Beijing to Melbourne via Bangkok would allow you to try both their 787 and their A380. Apologies – it would allow you to try their 787 and *A350. Apologies – by A380, I meant A350. No chain properties but you’ll find some lovely peaceful properties. Feel free to get in touch. I’m based in China and run a company doing business between the US, China, and Africa. Air France Flying Blue charges 37.5k miles in J each way for GUM/SPN-Australia on CI/GA. Worth a shot. TAAG Angolan flies to Beijing, or they did, think they still do. Maybe this is a good chance to give it a try finally? @Daelen that’s perfect for them. Air Asia X premium flatbed one way to KL and Malaysian Airlines back . But they probably can’t use points or miles on Air Asia X . Plus lucky will complain it’s too hot in KL while it’s too cold in Beijing. He’s not a fan of neither city. I bet they end up doing just Hong Kong on dragon air or something. What about Myanmar or Laos? If you need to stay a night in Beijing, stay at the Sofitel Wanda with its lovely club floor. Join Accor Hotel’s loyalty program. Consider visiting Zhangjiajie (can fly straight there or to Changsha) and Yangshuo (Guilin is gateway to area). Gorgeous, gorgeous other-worldly scenery at both places. You can take cheap high-speed rail from Shenzhen/Guangzhou to Guilin if desired. Non-stop flights from Beijing are not overly abundant. As always, use Ctrip for intra-China flights. I can recommend a guide in Guilin/Yangshuo if you’re interested. You should avoid China during Chinese New Year. Massive crowds of domestic tourists. Also avoid Thailand and Bali, where many Chinese tourists go. South Korea is a good choice due to the animosity over THAAD. Having worked and done business in China for a number of years, I would respectfully disagree with some of the comments. 1. Always book with the airline direct for domestic travel and not third parties. 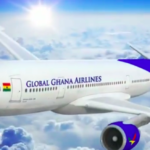 Firstly, you can get the member rate which is cheaper if you book directly and you have status with the airline alliance. Even if you do not have status but a membership with a partner carrier you can often get the same member rate. Secondly, these third parties often charge more for various reasons which you can ask if you are interested to know the details. Also, in Asia they tend to also value silver members besides gold and platinum. 2. Beijing may not be the worst place for Chinese New Year. We have to remember that it is one of two times of the year when major places in China pretty much shut down. The roads will be relatively empty and many tourist places will be too because most people go home. As others mentioned, you could consider some other local places in China, and during the holiday itself because this is the holiday that most people go home, whereas on the National Holiday an increasing number of people travel, you can get some excellent hotel deals. Please get in touch with specific questions or suggestions. That’s freakin awesome!!! Only $2,000 bucks RT on their new product. It looks awesome. Hopefully the food and service will be awesome to. No bags of peanuts or pretzels there-LOL. Go to Lhasa. It is a fascinating place. Fly to Chendu and take the train one way. Highest altitude train ride in the world! Pressurized rail cars! Then fly back to Xian. Fly Air NZ to AKL. Try domestic service to Queenstown (Air NZ one way and Jetstar the other. Return to PEK via one of the many Chinese airlines that service AKL. Go to Pyeongchang, South Korea for the Olympics. A short hop from Beijing. Tibet is currently off limits for foreigners.